Women's Celtic Silver Necklace : LOVE2HAVE in the UK! 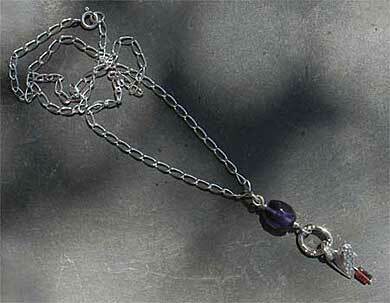 A Celtic silver combination necklace to match the rose bracelet. This women's Celtic silver necklace makes an alternative to the collar as a matching piece that is also in this section. 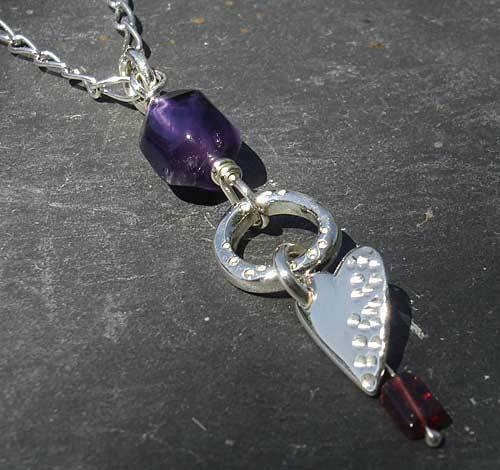 It features the purple amethyst and red garnet in a pendant type arrangement that also consists of a roundel and a textured heart, both of which come in solid sterling silver. The total height of these combined is approximately 4cm. 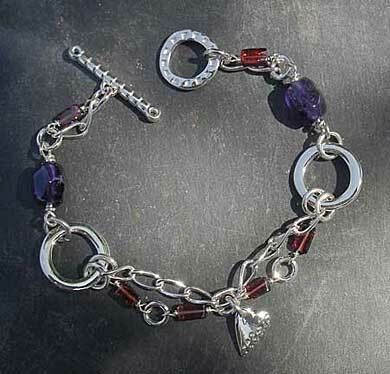 The red garnet bead, subtly incorporated into a silver wire, comes with a 16-inch silver chain. 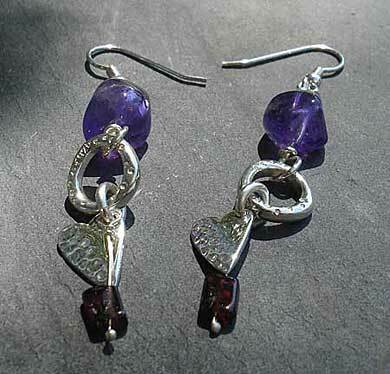 Matching earrings are also available making a beautiful collection of silver jewellery featuring the rich tones of purple amethyst and red garnet combined with a silver hammered heart and chain.